More coming soon! From the first year through the dual varsity/club transition and back again. Please send info to club-hockey-website [at] mit [dot] edu !! 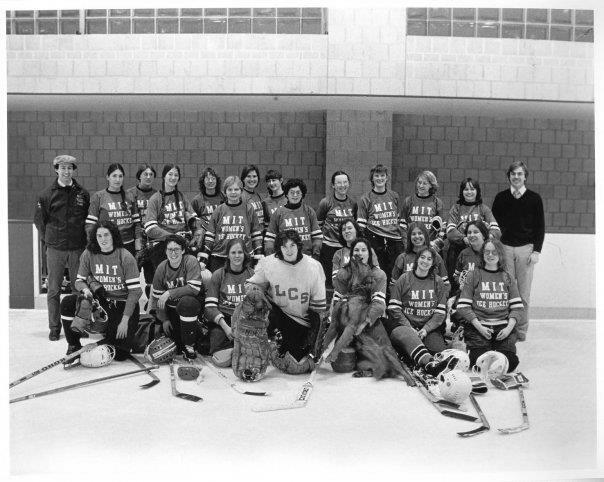 The MIT Women's Ice Hockey Club was started in 1980. The team played a schedule with about 20 games against other colleges in the northeast, including a few teams in the ECAC Alliance. We have a couple team pictures from the 80s but we're missing the first season and more. Please send pictures our way. What year is this? 1986? 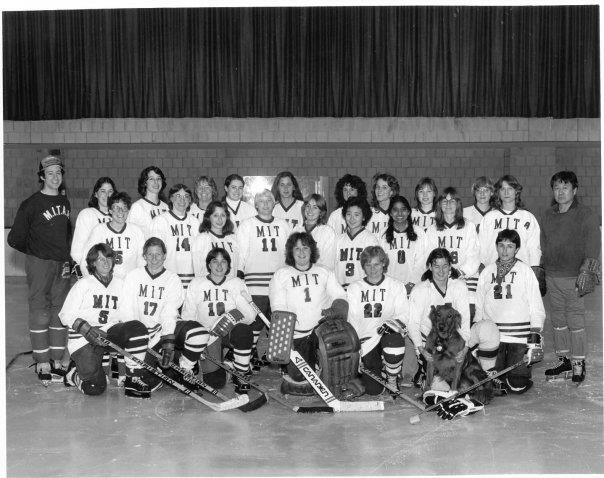 The club team has been a pillar of women's hockey at MIT. It helped forge a varsity team and remains today at almost forty strong. 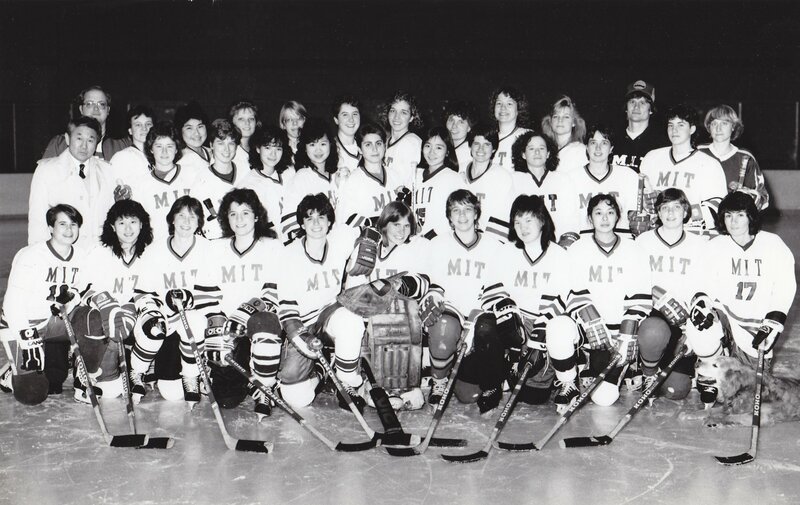 In 1998, MIT supported the team to go varsity for the 1998-1999 season and put in for a budget as a varsity team. For the 1999-2000 season, the team joined NCAA ECAC DIII. From 1998-2009 there were both a varsity and club women's hockey team. In 2008, the decision to cut 8 varsity sports at MIT was not popular and reduced the options for MIT hockey players as ice hockey was one of those eight. Fortunately both the men and women's team each have strong club teams that have continued. For the 2013-2014 season, the team joined the newly formed Independent Women's Ice Hockey Club League. This is an exciting opportunity full of new challenges and motivations. The new league is comprised of teams from Salem State, Endicott, Westfield, Harvard, Bates, UMass Lowell, Dartmouth, and of course, us. The team has played most of these teams in the past few years but they will be tought games and challenge the team. The league season runs from the beginning of November to the second week of February, and consists of 14 regular season games (play each team twice), and then playoffs for the top four teams. Go Tech!